The contents of trick 'r treat bags are going to look a little different this Halloween if PopCap, the American Dental Association and your local dentist get their way. They are all teaming up this October to Stop Zombie Mouth by offering up free Plants vs. Zombies game downloads for Halloween as a sugar-free alternative to candy. "This Halloween, the Putrid Posse is coming after the mouths of kids everywhere. 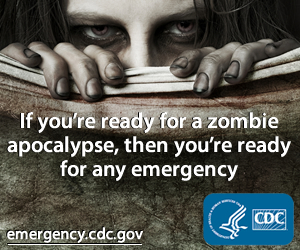 We need your help to stop them — and Stop Zombie Mouth! Team up with PopCap — makers of Plants vs. Zombies — and the American Dental Association to help teach kids of all ages about good oral hygiene. You can help by giving FUN instead of candy on Halloween — for free!" Limited edition Plants vs. Zombies collectible trading cards with free download codes are available at your local dentist's office (if they are participating in this program) and free game coupons are available online at the Stop Zombie Mouth website so you can give them out to trick 'r treaters too.